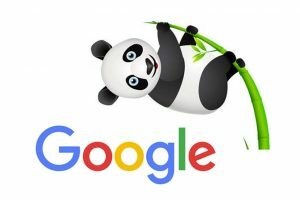 What is Google Panda Update? It is a algorithm that crawls in ranking a website. The Panda Algorithm improved the ranking of high quality websites and put it in the top of search results. There are guidelines provided by Panda on how to improve their search results. The main focus of this update is to delivering the best user experience on websites. The low quality content in some pages of websites can affect the overall ranking of your website, suggested to remove low quality pages and improve the content of low quality pages into more user friendly experience. Would you trust the information presented in this post? Is this post written by expert who knows the topic well? Does the site have duplicate , overlapping, or unnecessary articles on the same or similar topics with slightly different keyword variations? Would you be comfortable giving your credit card information to this website? Does this post have spelling or factual errors? Are the topics driven by genuine interest of readers of the site, or does the site generate content by attempting to guess what might rank well in search engine? Does the post provide original content or information, original reporting, original search , or original analysis? Does the article provided substantial value when compared to other pages in search results? Does the post describe both sides of a story? Is the content mass produced by or outsourced to a large number of creators, or spread across a large network of sites, so that individual pages or sites don’t get as much attention? Was the article or post edited well? Or does it appear poor produced? For health related question, would you trust the information from this site? Would you recognized the site as an authoritative source when mentioned by name? Does this post provide a complete or broad description of the topic? Does this post contain insightful analysis? Is this the sort of page that you want to recommend? Would you expect to see this post in printed magazine, encyclopedia or book? Are post short, unsubstantial , or otherwise lacking in helpful specifics? Are produced with great care and attention to detail versus less attention to detail? Is this a user friendly article? If you have any feedback in the update please go to webmaster forum.